So I’ve written two posts about my Grandma B, so it’s high time I write about my Grandma L.
Every Sunday when we’d visit the grandparents, we’d visit her last. It would always start out with a visit, and then end with playing games such as Speed Scrabble, Diminishing Rook, Uno, and Chicken Scratch (just to name a few). She was a widow for over 20 years and was such an example of having a positive attitude, and enduring to the end. 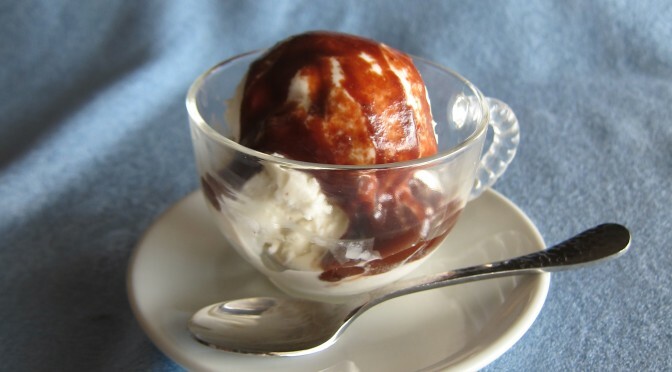 Like my Grandma B always had fudge sauce on hand, my Grandma L always seemed to have cookies or some dessert on hand. Most Sundays when we’d visit, she’d have a dessert of some sort. One dessert that was part of every Christmas, and many family gatherings were these sour cream cookies. And they were always stored in her old tupperware container. These cookies are basically a sugar cookie, but more cake-like than other recipes. In the original recipe, sour cream is one of the ingredients. The reason for this seemingly odd ingredient is not only for moisture and a little tang, but also to react with baking soda. You can’t get a rise out of baking soda without some acid. To make it dairy-free, I swap out the sour cream for coconut yogurt. Something else that I do differently is scoop out the dough instead of rolling it out. Rolling the dough in sugar also makes them sweet enough to not need any frosting. Preheat oven to 350 degrees. Place 1/2 cup sugar in small bowl. Set aside. 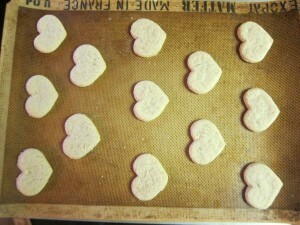 Line cookie sheets with parchment paper or silicon mats. In a small bowl, mix together first 8 ingredients (flours, starches, xanthum gum, baking powder, baking soda, and salt). 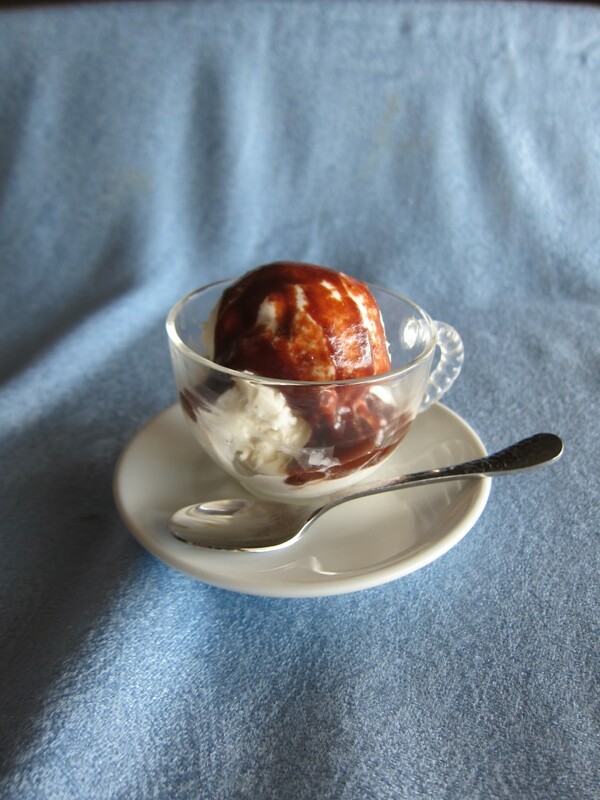 In a large bowl, using a hand-mixer, beat shortening, 1 cup sugar, and vanilla until smooth. With mixer on low speed, mix in half of dry ingredients until incorporated, then mix in half of yogurt. Repeat with remaining dry ingredients and yogurt. Mix until smooth. 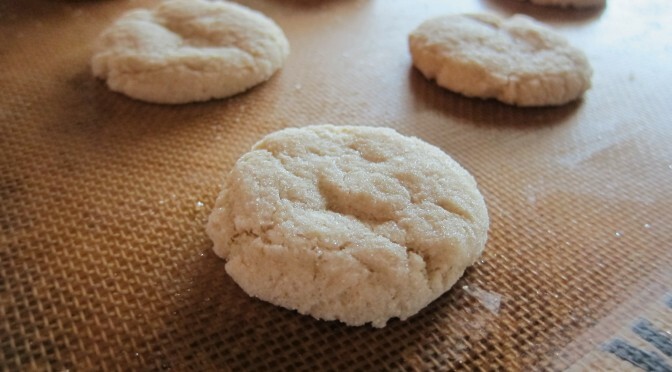 Using a tablespoon-sized cookie scoop, scoop dough into sugar and gently roll to cover in sugar. Place on sheet pan. Using a glass, or your fingers, smash balls to under 1/2" thick. Bake for 8-10 minutes, until edges are set. Cool for 3 minutes before transferring to cooling rack. These can also be rolled out for cutout cookies. I like to do this between two sheets of parchment (sometimes I dust the dough with sorghum flour). Roll no thinner than 1/4" thick. What I find interesting, is the other day I was looking at a cookie cookbook and came across a recipe for Black and White Cookies, almost identical to my Grandma’s recipe. I wonder if my Grandma knew that her Sour Cream Cookies are basically a Black and White Cookie. 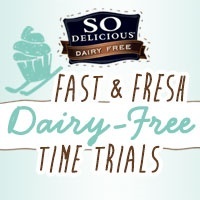 I also decided to submit this recipe to the So Delicious Fast and Fresh Dairy-Free Time Trials Contest. 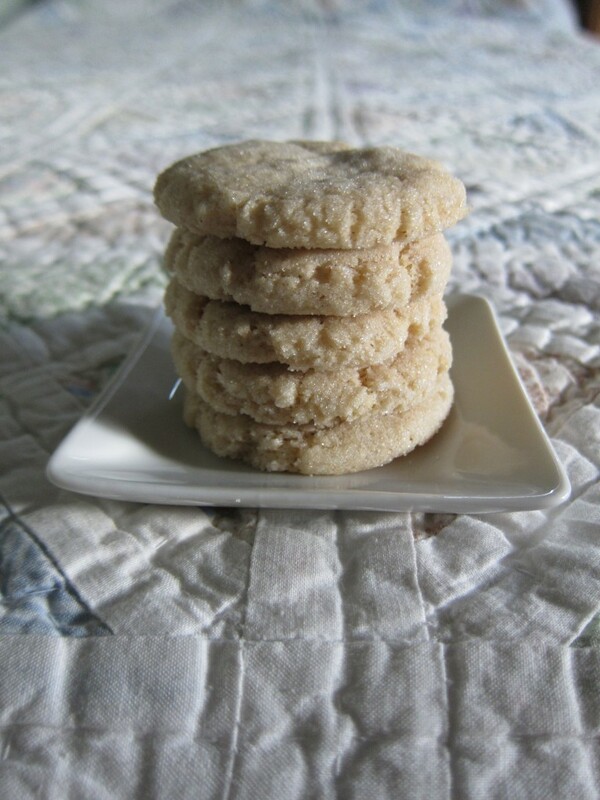 What I like about it is that unlike other sugar cookie recipes, it doesn’t require worrying about softening butter, or refrigerating the dough. It can be mixed, formed, and all baked within less than a half-hour. There are many, many, many, many, many (get my point? 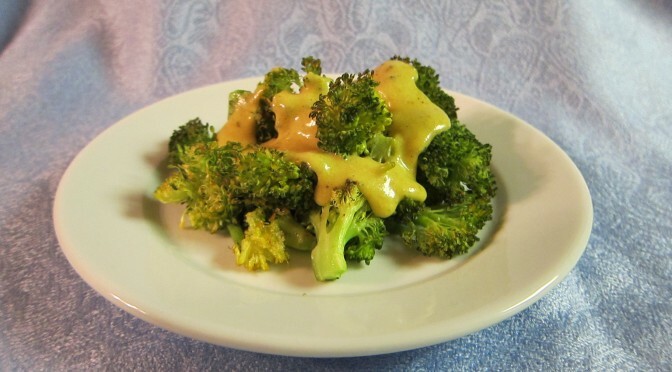 ), many dairy-free cheese sauces out there. So why am I throwing another one out there? The thing about most of the recipes out there is they either have flour, nuts, or tomatoes in them; each something that at least one of my family members is allergic to. There are also sauces with dairy-free cheeses, but those can get pricy, and unhealthy. So, in short, I wanted to create a recipe that all of my family members can have, and one that is a little more healthy. Preheat oven to 450 degrees. In a large bowl, toss together broccoli, olive oil, and 1/2 teaspoon salt and 1/4 teaspoon pepper. Place on large sheet tray and cook in preheated oven for 10-15 minutes, until broccoli is tender and florets are lightly browned. In a small pan, melt margarine over medium heat. Whisk in flour, garlic powder, mustard powder, and chili powder. Cook for 1 minute, until very fragrant. Whisk in coconut milk and whisk constantly until thickened. Season with salt and pepper to taste. Serve over cooked broccoli. Roasting the broccoli is nice for a change, lending a slightly different flavor and texture. 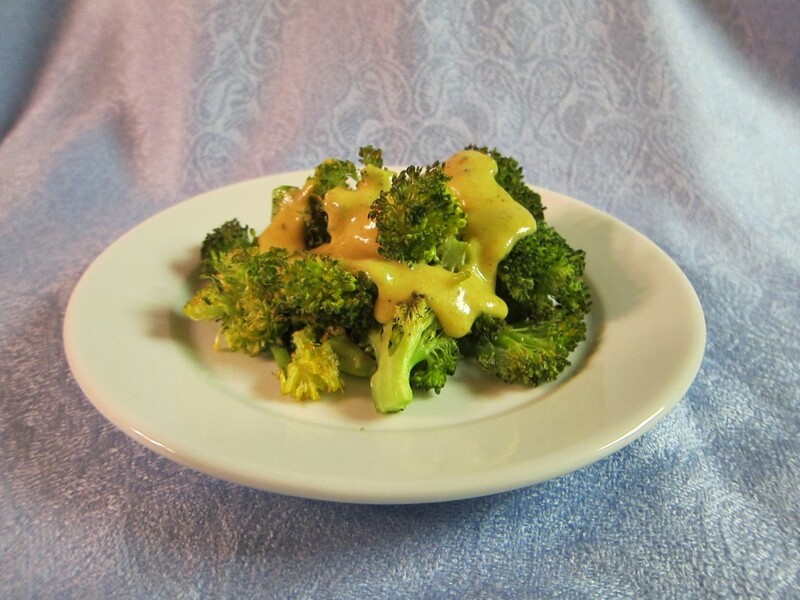 I like this recipe because you can make the sauce while the broccoli is cooking making it a quick recipe, so I decided to enter it in the So Delicious Fast and Fresh Dairy-Free Time Trials Contest. I actually did this one with a stopwatch and was able to get it done (trimming broccoli included) in 13’22”.